Switch the Play (StP) is a social enterprise focused on supporting athletes through a transition from a life inside of sport to a life outside of sport. 7 out of 10 athletes are forced into early retirement from the sport they love due to uncontrollable factors such as injury or deselection. StP helps athletes ensure that when their sporting career comes to a planned or unplanned end, they are ready and well prepared to succeed. The organisation is driven by a Board of passionate Directors, three of which are former athletes with first-hand experience of successful career transition. 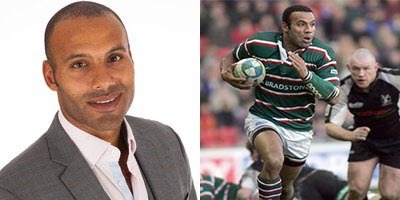 Following a successful career as a professional, international rugby player which included 11 years with Leicester Tigers followed by a year at Gloucester Rugby Club and a number of appearances for England and the Barbarians, injury forced Lloyd into an early sporting retirement at the age of 30. Fortunately, Lloyd has managed a successful transition into the world of business. Following the publication of his first book ‘Life After Sport’ Leon joined the Board of Switch the Play. He also recently achieved a First Class Honours Degree in Business Leadership and Management. As a former world and European champion and Olympic medallist, Beth is Britain’s most decorated Gymnast, ever. In 2007, she also graduated from Liverpool John Moores University with 2:1 in Sports Science and three years later Beth received an MBE for her success, commitment and dedication to gymnastics. As well as sitting on the StP Board, Beth has also set up her own, very successful, company, Total Gymnastics, giving hundreds of children the opportunity to try and enjoy gymnastics. 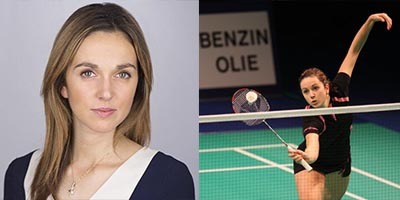 Following a successful sporting career as a Scottish International player, Emma qualified as a sports lawyer and now also holds Board positions with several international governing bodies of sport. Emma’s own career transition was forced upon her at the age of just 24 following the complete failure of her left kidney. At that time, Emma was left wondering what her future held and uncertain how to rebuild her identity or who she could turn to for help. Emma is acutely aware of how important it is for athletes to prepare for their transition.